After months of anticipation, set photos and official reveals - Marvel have finally delivered the first trailer for Captain Marvel. In just under two minutes, the trailer showed us plenty about the Marvel Cinematic Universe before we were introduced to it during Iron Man back in 2008. But the most important part is that although the trailer doesn't directly tell us about the plot, the footage itself gives us an idea of where they're taking the star-spangled woman. There were some surprises in the trailer, with some moments that we might've seen coming and some that we definitely didn't. 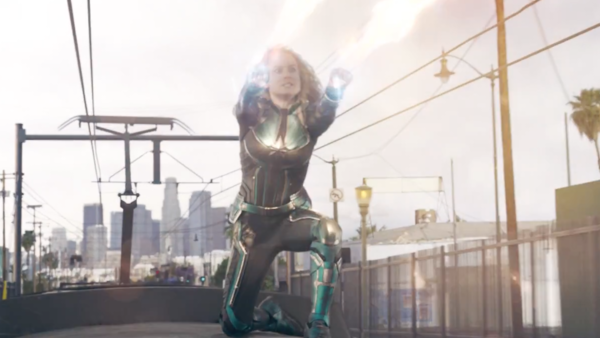 The biggest thing to take from the trailer is seeing Captain Marvel embracing the full extent of her powers at the very end. All we could think of was how Thanos should really be running scared at the idea of Carol Danvers coming to find him. Plus, think of the team-up opportunities in Avengers 4. But, here are some of the plot hints we noticed.